Well done to all our Rhythmic Gymnasts for all their hard work at camp! Whilst working hard we also had a lot of fun developing our creativity at camp too. Here are some snap to remind everyone of the fantastic week. We are looking forward to the next year of training at RGC! New Rhythmic Gymnastics Club Wear! The very lovely, new Rhythmic Gymnastics t-shirts and leotards are now available at RGC! 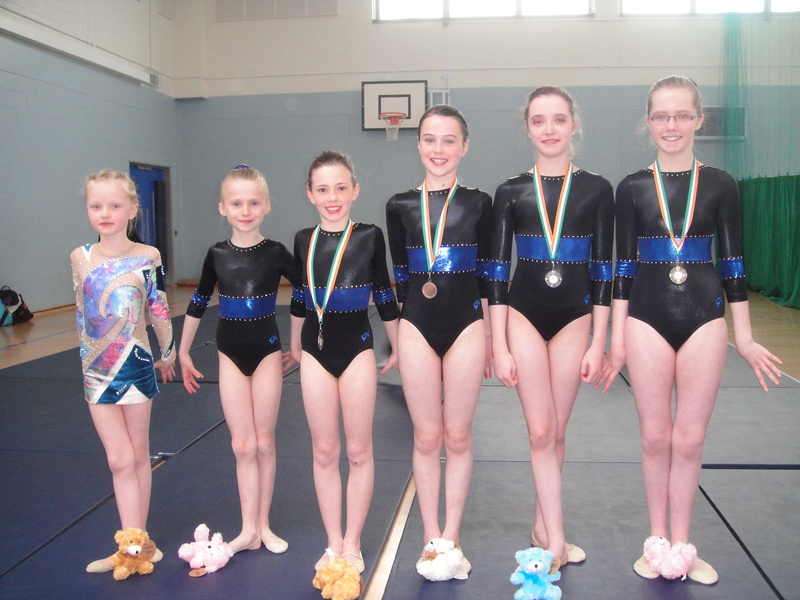 Another successful competition for Renmore Gymnastics Club! The Level 2 National Rhythmic Championship went very well. Grade 2 girls: Katie Dooley and Nicole Plotnikova had tough competition. Gymnasts in that level are very strong. Grade 3 girls did extremely well: Ciara Mulgannoncame first in both Free Routine and Hoop Routine – well done! Megan Griffin won bronze and Orna Hennessy came 5th. A few mistakes pushed Ellen Fallon from 3rd to 4th place – she’ll bring home the medal next time! Finally, two more medals to announce: Caolfhionn Moriarty won gold and Hannanh Pamplin won silver. Well done girls, I am very proud of you! Level 2 National Rhythmic Championship 2012! 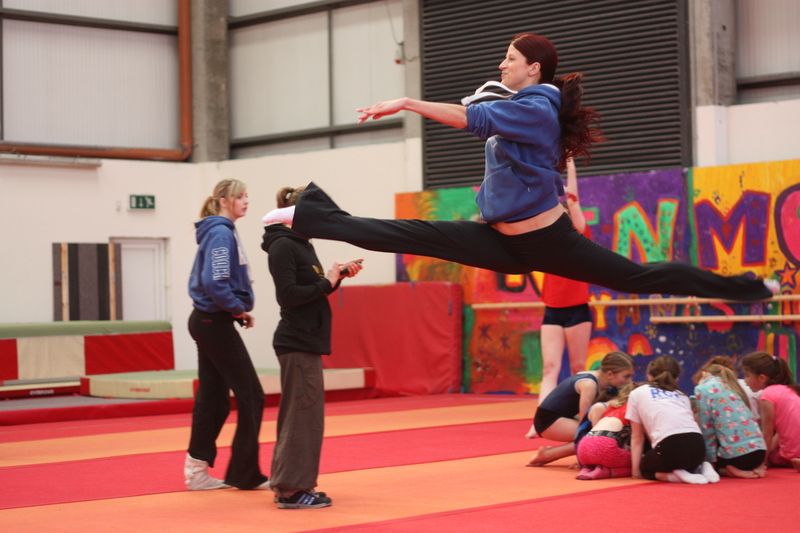 Eight RGC Rhythmic gymnasts will be competing this Saturday at Phibblestown Community Centre, Dublin. Best of luck to Katie Dooley, Nicole Plotnikova, Ciara Mulgannon, Orna Hennessy, Megan Griffin, Caolfhionn Moriaty, Ellen Fallon, Hannah Pamplin!!! RGC medals at International Rhythmic Gym Competition! There was formidable competition from Latvian and Lithuanian gymnasts but the RGC gymnasts prevailed bringing home two bronze medals. Well done to Katie Dooley and Nicole Plotnikov both of whom won bronze medals at the Triumph Open International Tournament in Blanchardstown last Sunday. This is a great accomplishment! Congratulations gymnasts! Thank you Kate Uí Chíobháin for the photos and a big thank you to Anastasia for being a great coach! We are glad to inform you that there will be a Christmas Foundraising Display on the 21st of December at 6 pm in our gym. Gymnasts are raising money for their much needed leotards! This is a great opportunity for us to show, family, friends and our local community, how beautiful and original rhythmic gymnastics is and how hard we have worked over the year. Everyone welcome! Come and enjoy! The benefits of Rhythmic Gymnastics to girls in their formative years include physical fitness, self-discipline, positive self-esteem, lasting friendships, team skills, fun and a healthy lifestyle that the gymnast will sustain for life. Renmore Gymnastics is working towards expanding their Rhythmic classes in term 2 with a new recreational class running on Weds from 4:30-5:30. Let us know if you are interested in trying this new and exciting introductory class! Some of our rhythmic gymnasts will also be performing in a christmas display this year. Stay tuned for more information! Renmore Rhythmic Gymnasts First Comp!! !